Tuscany inevitably brings us back to such imporant names as Dante, Petrarch, Boccaccio, Giotto, Masaccio, Michelangelo, Leonardo da Vinci, Piero della Francesca, Botticelli...who made Florence and all Tuscany the cradle of Humanism and Renaissance. Florence is rich in architectural monuments and museums (the Uffizi Gallery, Palatine Gallery, Bargello Museum, Palazzo Pitti). Its historic center was declared by UNESCO World Heritage Site in 1982. But Tuscany is not just Florence. Siena, with Piazza del Campo and its famous Palio; in the province of Siena (worldwide famous for its wine, Chianti and Brunello) we have to mention Montepulciano and Pienza, extraordinary gems of Renaissance art, as well as San Gimignano, with its towers and turreted houses. 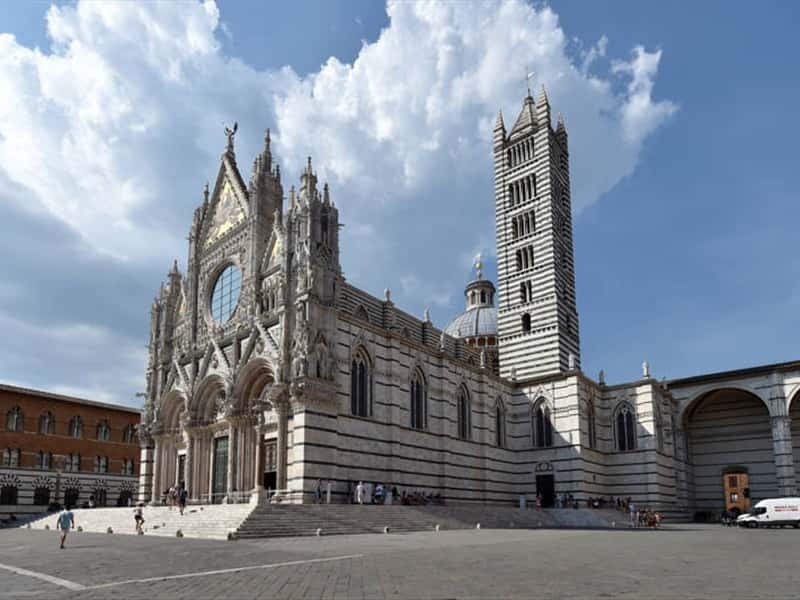 Pisa, with its famous leaning tower; Carrara, with its Duomo covered by precious marble; Lucca, Pistoia, Arezzo, Grosseto, Livorno and Prato, rich in valuable monuments. This region web page has been visited 1,164,566 times.